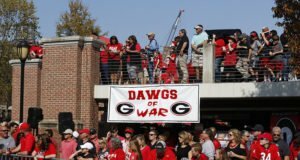 ATHENS, Ga. — Georgia sophomore tailback D’Andre Swift has been named Southeastern Conference Offensive Player of the Week for the second time in a row following the Bulldogs’ 27-10 win over No. 24 Auburn, according to a league announcement. Swift split this week’s award honor with Texas A&M tailback Trayveon Williams. This marks the second SEC weekly award for Swift in his career. 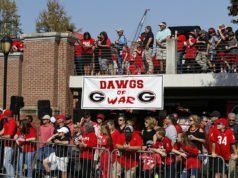 This is the fifth SEC weekly honor for the Bulldogs in 2018 after place-kicker Rodrigo Blankenship garnered the Special Teams Player of the Week recognition following the win at South Carolina and quarterback Jake Fromm was named the Offensive Player of the Week after the victory over No. 9 Florida. Swift and sophomore Andrew Thomas (Offensive Lineman) were honored after the win over No. 9 Kentucky on Nov. 3. Swift, a native of Philadelphia, Pa., went for a career-high 186 yards and a touchdown on 17 carries (10.9 avg.) against the Tigers. 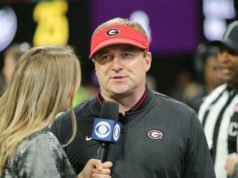 He also had a team-high four catches for 43 yards as the Bulldogs piled up more total yards (516) on Auburn than any team had since Oklahoma had 524 in the 2016 Sugar Bowl. Swift’s performance included a 77-yard long touchdown run in the fourth quarter. 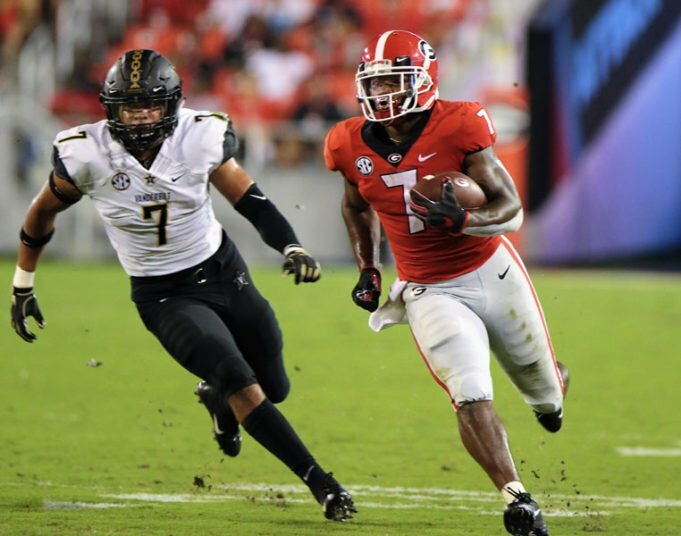 He is the first Georgia player to have two runs of 75 yards or longer in the same season since Herschel Walker in 1980. The No. 5 Bulldogs (9-1, 7-1 SEC) play host to Massachusetts (4-7) on Saturday. 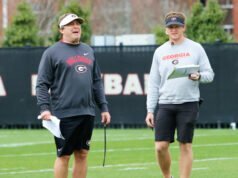 The SEC Network will televise the first-ever matchup between the two teams at 4 p.m.